The Elrics finally reach their childhood hometown of Risembool. As the brothers bide their time while Winry and her grandmother make their repairs, they sort through the ashes of their old home. But as Ed makes a visit to their mothers grave, Al comes to a disturbing realization about himself. Ed and Al have spent years searching for the Philosophers Stone. After studying Marcos notes, however, Al learns of the grusome secret behind its power. With this knowledge, can the Elric Brothers continue with their quest to be whole again? Ed announces that he and Al have decided to stop searching for the Philosophers Stone. Boarding a train headed South, they leave Central to visit their old teacher. Meanwhile, Hughes has discovered the truth behind the Fifth Laboratory -- a truth that could topple the Government. Izumi has successfully escaped with the boy, but to no avail--Envy had already told the child the truth about himself, and his personality is changing. With all her secrets exposed, Izumi makes plans to atone for her sins. Ed and Al rush to intervene before its too late. 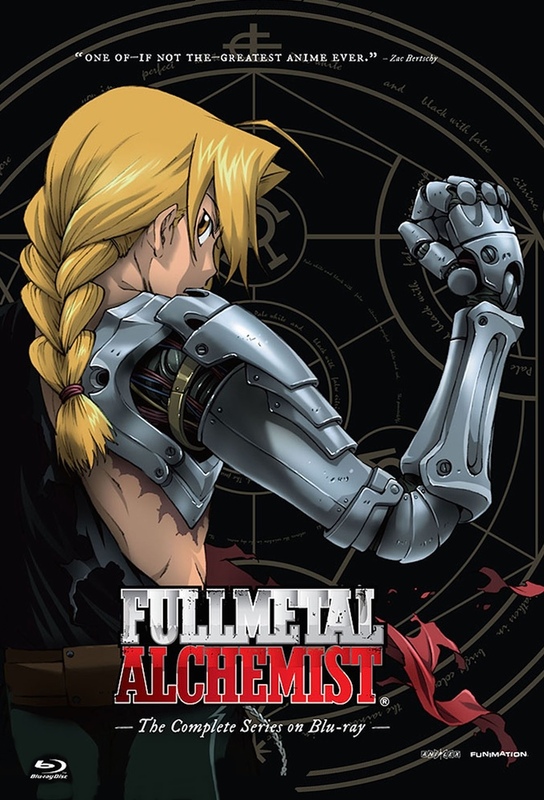 After battling Wrath, Izumi decides its time Ed and Al meets with her old Master, Dante: the alchemist who taught her everything she knows, and who also knew Ed and Als father, Hohenheim Elric. However, they are delayed yet again as Greed decides to take on the Elric Brothers. Al is kidnapped by Greed and his gang, leaving Ed frantically searching for him. Izumi and Sigu join him in the search, and in the process Izumi discovers how much her young proteges have learned on their own. The battle to rescue Al is in full force, as Major Armstrong takes to the sewers to fight off Greeds men while Ed remains on the surface in a showdown with Greed and the Military. As Ed and Greed face off, Ed must make the ultimate decision: is he willing to take someones life to save his brother? After crashing the vehicle Winry left them, Ed and Al are forced to continue their journey to Ishbal on foot. The brothers tempers flare and they end up separated in a small town. Meanwhile, back at Central, Winry and Sciezka join forces to find the cause behind Hughes death. As Ed, Al and Marta continue their journey to Ishbal, they discuss the history and events that led up to the Isbalan Civil War. Through Marta, the brothers learn the truth behind the conflict. Meanwhile, Archer arrives at Lior to quell the new civil war.